← What Is Your Value Proposition? Mergers and Acquisitions: How Good Are They? Many failed mergers and acquisitions made me think why the organizations take these crucial steps. Mergers and acquisitions consume a lot of time and effort from both organizations. I always liked Peter Drucker’s writings and find his style and views fascinating. Drucker (2004) suggest that a successful acquisition should not be based on financial strategy, but should be founded on business strategy like the numerous acquisitions done by GE under Jack Welsh’s leadership. The acquirer must contribute to the acquisition, not the opposite (Drucker, 2004). The acquirer should be able to support the acquired firm and set up plans to restructure, reorganize or financially support the firm. The acquirer should provide top management for the acquired firm within maximum of one year from the acquisition (Drucker, 2004). Palepu & Healy (2008) suggest earnings multiples and discounted cash flows as valid methods to check the intended firm’s attractively for acquisition. Corporate restructuring is used for different motives but Stewart & Glassman (2001) explain that “achieving a better business fit”, “achieving a higher-valued use of assets” and “strengthening incentives” are some of the main reasons for corporate restructuring. 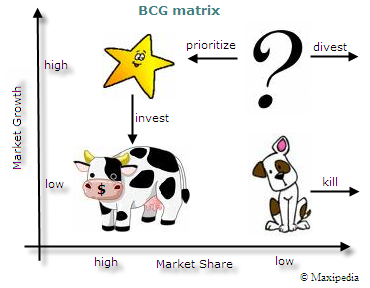 Boston Consulting Group (BCG) is known for the popular matrix which recommends transferring income from the “cash cows” to the promising “question marks” without restructuring the firm (Stewart & Glassman, 2001). However, Stewart & Glassman (2001) stock analysis found that separating “cash cows” from “question marks” create more stock value especially if the profit from the “cash cows” is passed to the investors. Palepu, K., & Healy, P. (2008). Business analysis & valuation: using financial statements (4th ed.). Mason, OH: South-Western. Stewart, G., & Glassman, D. (2001). The motives and methods of corporate restructuring. In The new corporate finance: where theory meets practice (pp. 529-543). New York: McGraw-Hill/​Irwin. 12 Responses to Mergers and Acquisitions: How Good Are They? No disrespect inedtend, but after 30 plus years of helping businesses and people achieve success I can honestly say that my clients have always been more interested in results than academic terms like Situational Analysis and Change Barriers. Regardless of terms, all change affects people. The speed and success of change is directly dependent upon the acceptance by those affected. Developing a strategy, and methods for communication and feedback before understanding the starting point from which change will be implemented is a waste of time and money. Doctors always perform preliminary tests before deciding on treatments, methods for monitoring treatment processes and establishing realistic time tables to measure progress and success. Smart business decision makers follow a similar process. The first step for those responsible for change should be an accurate assessment of current conditions. You know there is a lot of kind of dark humor about this, no doubt about it. I like Calvin Trillin’s poems, and economic crsiis cartoons in the New Yorker. I’ve had some twisted laughs, I admit that. But when I think of blue-collar people who lost their jobs in California and therefore couldn’t make their mortgage payment and therefore lost their house, or think about the black family in Cleveland who was making consistent monthly payments on their apartment, but were thrown out because their landlord went under, or think about some family in Miami Florida living in an abandoned home with their children because they have no other place to go, and they keep wondering when the police will be knocking on the door, the chuckles just don’t come so easily. And I wonder what their resume looks like now because some people don’t have the Plan B of law school.My father had problems finding a job for a segment of time in the 1980 s. And when you’re eating generic brand macaroni and cheese on odd days of the week and canned pork and beans on even days of the week, life just isn’t such a barrel of laughs.So when I think of guys like Barney Frank (who doesn’t seem to be taking reform of derivatives too seriously now) or Phil Gramm who made swaps unregulated, or James Cayne playing bridge in Nashville, or some of AIG’s creditors hesitating to take a haircut with America’s entire economy riding in the balance . Pent-up rage really doesn’t describe the half of it. and will come back later in life. I want to encourage that you continue your great work, have a nice holiday weekend! how to conceive a girl discourage the X’s and Y’s, or both. The O+12 Method This is the best option, actually.